This has been done a million times over, I know. 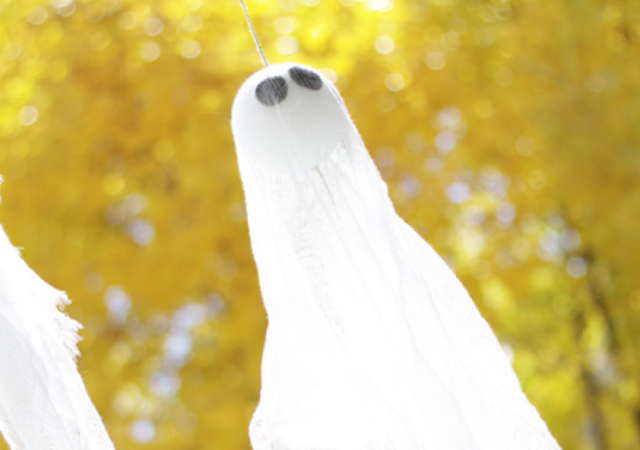 Here is my super simple, super fast way of making the perfect cheesecloth ghosts for Halloween. 1. 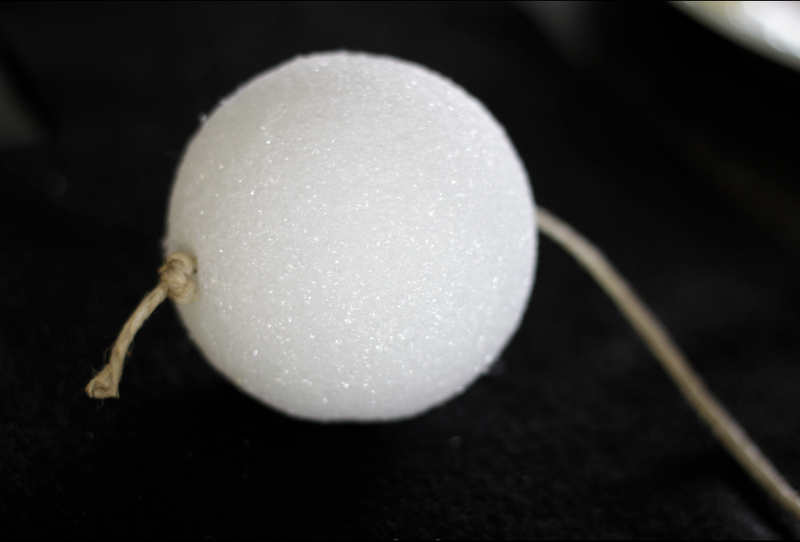 Thread some string through a styrofoam ball. Make sure to knot one end. 2. 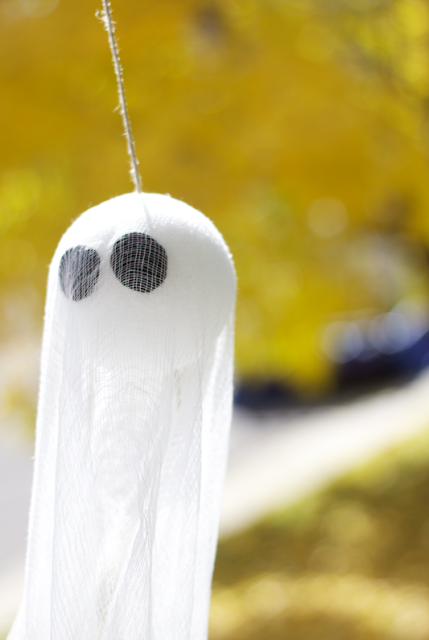 The knotted end will be the bottom of the ghost's head. 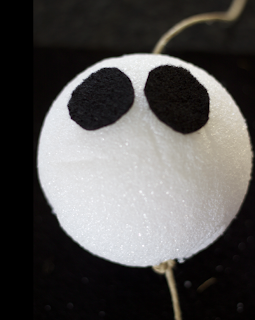 Glue some black circles for eyes to the styrofoam ball. I used black felt. 3. 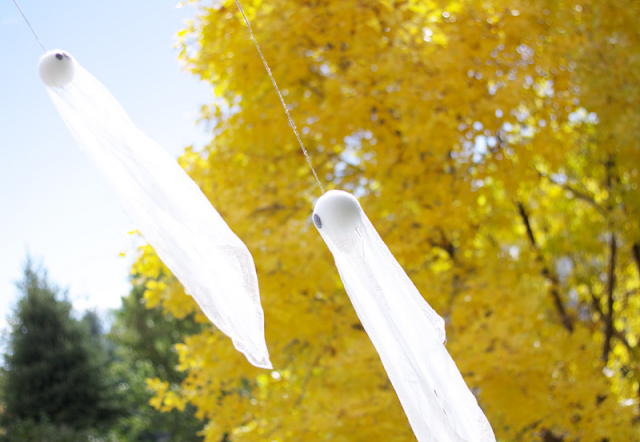 Finally thread the remaining string through the cheesecloth, however long you want it. 4. Hang your ghosties. Mine our currently blowing in the wind on my front porch. 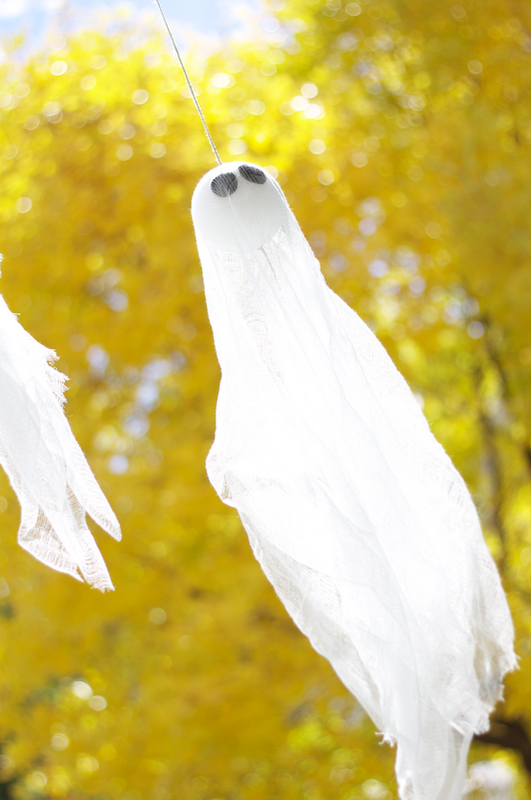 haha, they are so cute... why do they look sad also?sad ghosts may be because they are hanging...thanks for a lovely idea for Halloween!